ExxonMobil hit back at New York Attorney General Eric Schneiderman over his investigation into how the company portrayed the risks that carbon regulations pose to its business. The company says in a court document filed Friday that Schneiderman made "inflammatory, reckless and false allegations" against Exxon, and is leading a "politically based investigation." Those charges come in response to a trove of documents Schneiderman filed in court last week, which investigators say contain substantial evidence that Exxon may have misled its investors about climate change. Specifically, Schneiderman -- whose probe into Exxon began in 2015 -- claimed that investigators uncovered "secret, internal figures" that indicate the company purposefully understated the financial damage that climate change regulations could cause. Investigators also say one piece of evidence makes it clear that former CEO Rex Tillerson, who is now Secretary of State, knew about and approved of the alleged fraud. 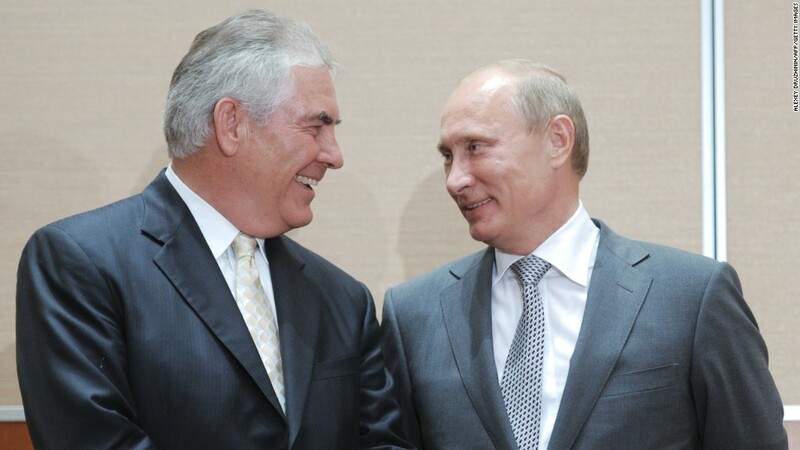 Exxon (XOM) staunchly denied those assertions. The company said in its filing that various carbon regulation cost estimates, or proxy costs, were appropriately used in different calculations. And Exxon insisted that the numbers were never changed to mislead investors. "ExxonMobil's use of different metrics, in different circumstances, to accomplish different goals evinces prudent financial stewardship, applying appropriate assumptions in appropriate cases. There is nothing untoward or surprising about any of this," the company's brief states. The company also alleged that Schneiderman is engaged in a "political witch hunt" and is trying to sway potential jurors if a case ever goes to trial. "It is an abuse of the powers of his office and the court system itself, furthering only the attorney general's transparent political ambitions and ultimately bound to taint a prospective jury pool," the company says. Schneiderman's office responded Friday with an emphatic rejection of Exxon's claims. Amy Spitalnick, Schneiderman's press secretary, said investigators have a "substantial basis to suspect that Exxon's proxy cost analysis may have been a sham." A hearing on the matter is scheduled in New York's trial court next week.